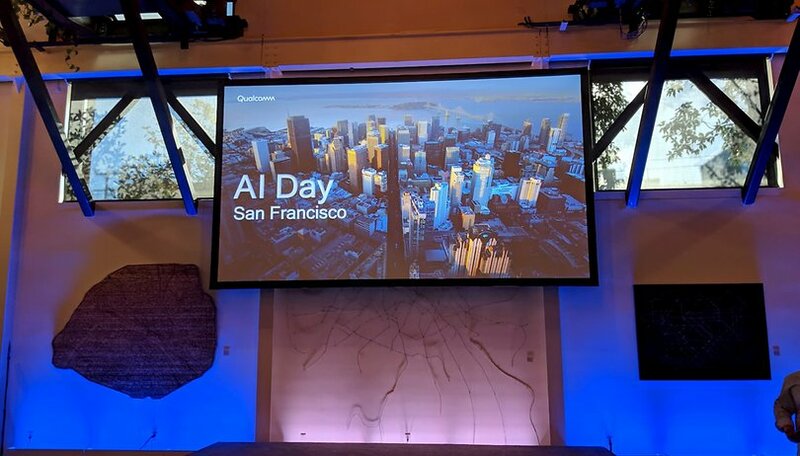 During Qualcomm’s AI Day 2019 in San Francisco this week, we were able to sit down with the president of the company, Cristiano Amon. At The Pearl event venue, a small group of European journalists asked about 5G, AI in the automotive business, Huawei and the ongoing Apple case. Here’s what the Qualcomm boss had to say. Qualcomm has spent the morning presenting its vision for the future of artificial intelligence. Revealed for the first time was a new Cloud AI 100, a 7nm accelerator to bring AI to the server side of computing, alongside three new Snapdragon chipsets for the mid-range. There was also lots of talk of 5G and the edge cloud. In our roundtable, we got a chance to find out what Amon thinks about what’s happening in Europe. Who is leading the race for 5G in Europe? Cristiano Amon doesn't “see any significant gap between the 5G being deployed in South Korea and the US”, at least in terms of where the technology is. He expressed his pride that, unlike when 4G came out, manufacturers are ahead of the actual networks for the fifth generation of mobile networking. But who is leading the charge in Europe? “If you ask me, where are the countries within Europe that are moving faster I would say The UK, Italy and Switzerland,” says Amon. After that, he says Germany is the closest to chasing the front-runners. He also confirmed that Qualcomm has been in meetings with Europeans and that the urgency of 5G in Europe is now understood, not only by the operators but also by the regulators and the governments. And that’s a big deal because, as Amon puts it, “this is the first time the wireless industry (not the telecoms industry) is contributing a general purpose technology for society”. He also said that he expects to see private deployments of 5G, that operators are going to very flexible to enable that to happen. The two models, he says, will coexist. What does it mean to have artificial intelligence your hands? Amon explained that you have your device’s computation power and processor, then you have 5G, and then you have edge cloud. He says you will always have the big cloud, but the edge cloud is the one that is going to be able to make the most of the low latency capabilities of 5G. The lines seem to be getting somewhat blurred, as we move to an even more connected future. In terms of the future of mobility, Cristiano Amon believes that 5G and increased autonomy is going to have a big impact on safety. Why? Because artificial intelligence is not going to allow you to be a bad driver. How about those low light photos on the P30 Pro, eh? It was put to Cristiano Amon that a lot of Europeans are just getting their Kirin 980-powered P30 Pro’s and are blown away by what the new Huawei flagship can do when very little light is there to be harvested. He flinched, but not much. The ongoing legal battle between Qualcomm and Apple was bound to come up at some point. The end, it seems, could be in sight. Cristiano was not exactly shy about talking about the subject, he’s had a lot of practice after all, but offered his increasingly famous line to quickly end the discussion. What do you think about Qualcomm president Cristiano Amon’s comments on 5G in Europe, that Snapdragon 855 camera claim and the chances of a resolution with Apple this year? Let us know.